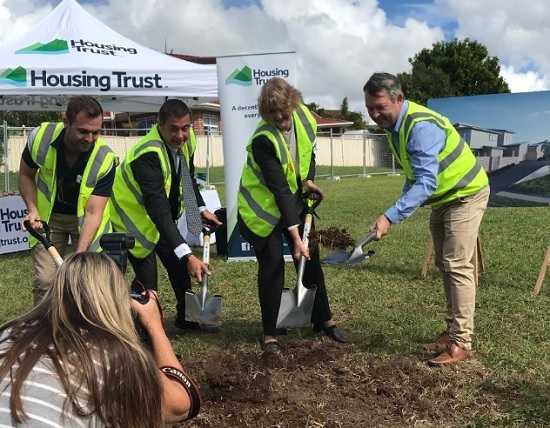 The Housing Trust is beginning construction on its first works in Shellharbour in four years with a new 2-point 4 million dollar affordable housing complex in Flinders. 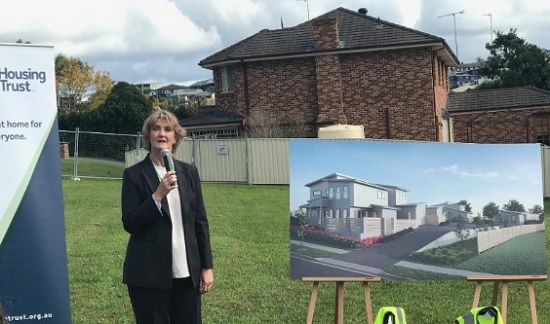 The development is Housing Trust's third in 12 months as they continue the quest to meet the social and affordable housing shortfall in the Illawarra. CEO Michele Adair said almost 10 million dollars has been committed on building in Bulli, Corrimal and now Flinders. In June last year, 25 homes were completed at Farrell Gardens and five are currently under construction in Corrimal. "By the time we add in our routine maintenance programs across the Illawarra, we have about 1100 homes. "We're looking at a very substantial ongoing investment into the community which is not just creating homes but keeping money and jobs in the community and looking after families that are here. "We're thrilled to be able to be making this investment and commitment to the Shellharbour community," Adair said. The Flinders development will comprise of seven villas. "It's a combination of two and three-bedroom homes," she said. Housing Trust hopes that tenants will be able to move in by early 2020. "Certainly by this time next year, possibly even a little bit sooner if the weather and all other things go wonderfully well for us then it will be less than 12 months," said Adair.